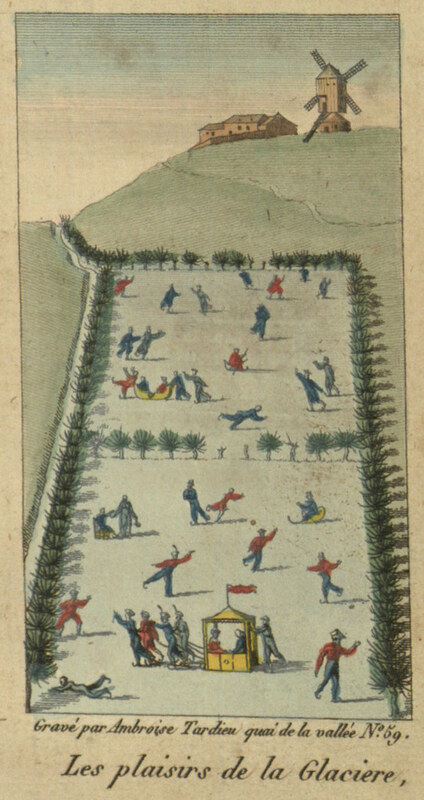 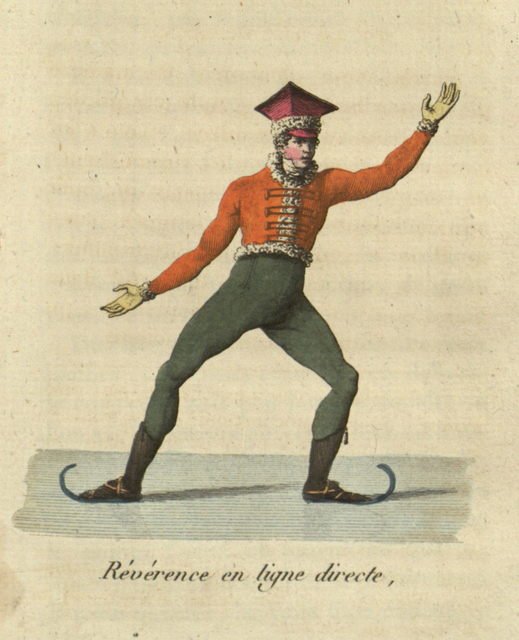 Coloured engravings from France’s first ice-skating manual Le Vrai Patineur (The True Skater) written by Jean Garcin, a book praised in Honoré de Balzac’s Illusions Perdues. 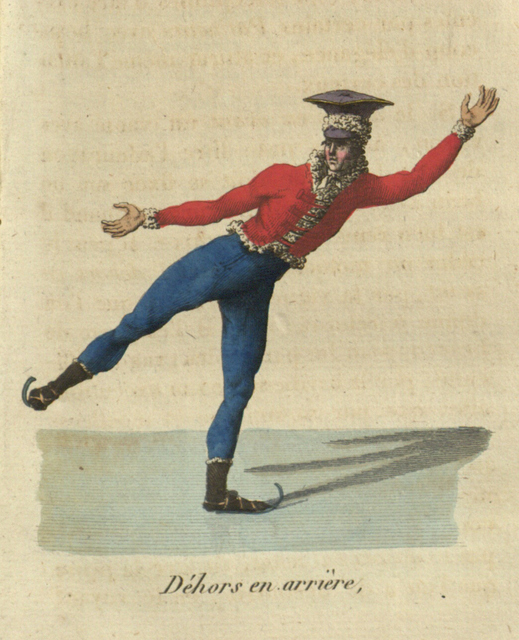 As well as the aide of eight engraved plates, four of which are featured here, the manual details many movements and poses, putting an emphasis on artistry and grace in contrast to the more straightforward technical approach usually practised in England. 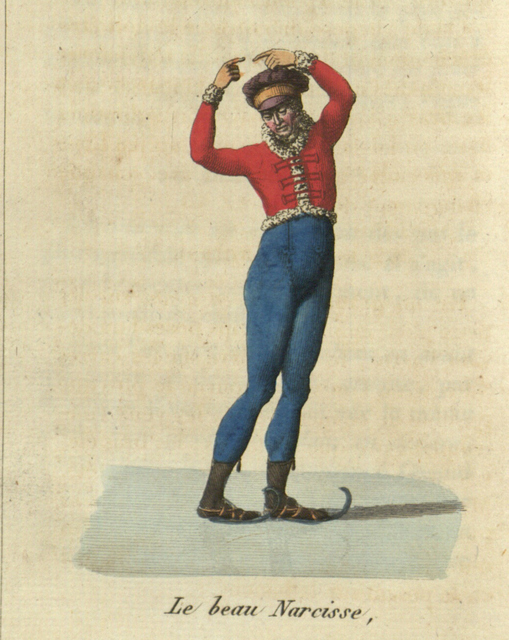 The book is considered to be one of the earliest works in any language devoted entirely to ice-skating.